Here is Rampage’s walkout shirt against Matt Hamill at UFC 130. 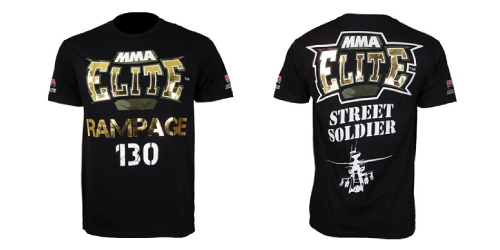 It is from his sponsor MMA elite and features the words “Street Soldier” and an Apache attack helicopter, these images are similar to Rampage’s tattoos. 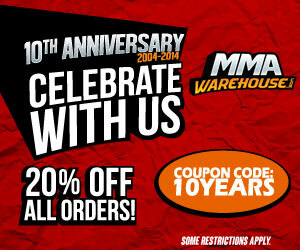 On the shoulder of the shirt is the Wolfslair MMA logo, this is the UK based MMA team that Rampage has been training with for a long time. His training camp for this fight has been one of the best and they look to prove that Rampage it ready for another run at the UFC light heavyweight title.